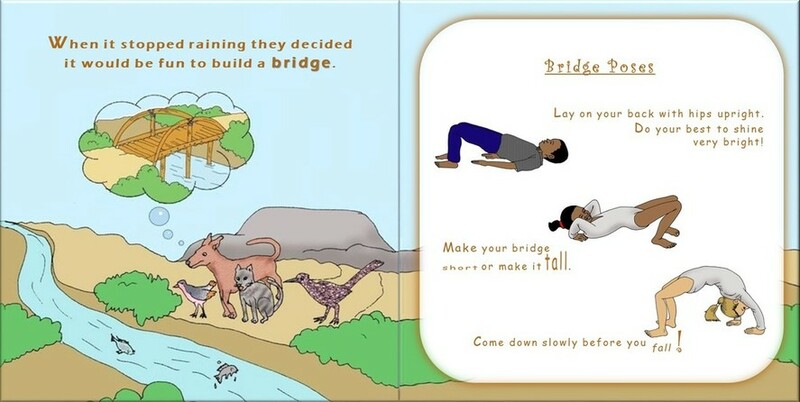 Adventure Asana teaches children yoga by taking them on a fun adventure that flows through a series of yoga poses (asanas). 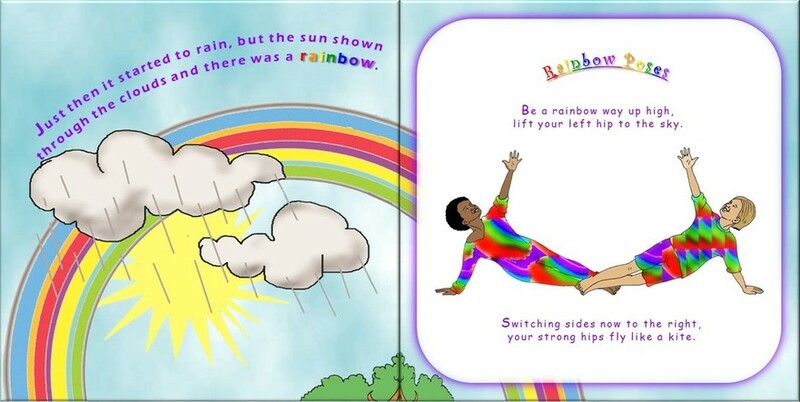 For each yoga pose there is a children's image illustration and playful alignment poem. "The Rainy Day" stars a diverse set of characters who set out on a journey and support each other: the Dog (Downward Dog), the Roadrunner (Runner's Lunge), the Cat (Cat/Cow), and the Bird (Yogi Squat). You are certain to enjoy all of the the lively and fun images created by Ugandan artist Rodney Kawaayi. A peek at the inside . 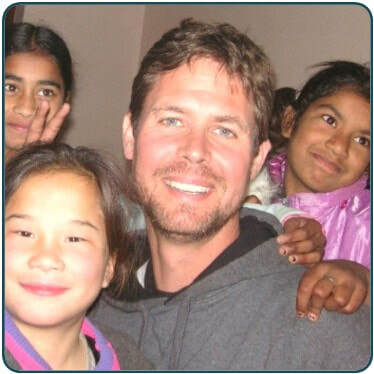 . .
Kevin Lockwood, CYT & LSP, has been practicing yoga since 1999 and a yoga teacher since 2005. His work with children began in 2001 through various roles as a youth counselor, co-director for Children’s Global Peace Project, and executive director for Journey Outreach. He is the founder of EnvoyPeace Coaching & Consulting, creator of Intentional Journey Coaching and Meditation, and author of Be the Designer of Your Life. For 30 years Kevin has supported transformation from the inside out for at-risk communities and schools, non-profit organizations, government agencies, Fortune 500 companies, and small scale industries in over fifty countries. He envisions a world where every person realizes an energy of joy, excitement and possibility in expressing their passions and creating connected, compassionate community. Find out more about Kevin on this website: www.EnvoyPeace.com. ​Shanti Medina, CYT & CPT, is the founder of Energize training systems and Body Current® therapeutics. 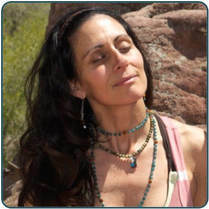 She enjoys supporting elite athletes and everyday warriors to live a life of well-being, optimized performance and wild inspiration through simple practices of embodied self-realization. Shanti considers herself a "revealer" rather than a "healer". Her simple and personalized body-centered templates and tools reveal our abiding true nature and can be immediately applied to self-regulate the vagus nerve and entrain the brain for self-realization, transformation, and healing. For over 18 years Shanti’s curriculum has provided a bridge between modern-day neuroscience and ancient yoga therapy. She has enjoyed being part of a variety of Yoga Teacher Trainings and a faculty member at Kripalu Center for Yoga and Health. Find out more about Shanti at www.EnergizeShanti.com. 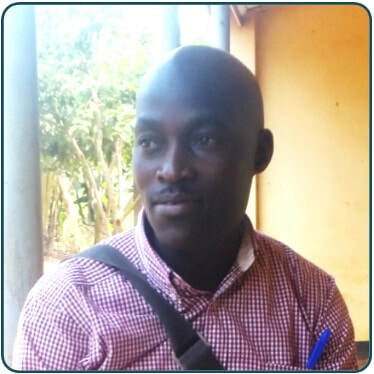 ​Rodney Kawaayi is a Ugandan artist with a diploma in Art and Design, majoring in Textiles and Fabrics Decorations, from Kyambogo University. He is an illustrator of picture stories and a visual-aid materials developer with over 13 years of experience. Rodney has worked with a variety of organizations and companies, including Mango Tree Educational Enterprise, Food for the Hungry, Hesperian Health Guides, the International Livestock Research Institute, Technology for Tomorrow, and Partnering for Africa’s Future. He specializes in producing computer-enhanced color illustrations. His major areas of expertise are with Adobe® Photoshop, InDesign and Illustrator; creating 2D animations using flash. Find out more about Rodney at www.fineartamerica.com/profiles/Kawaayi-Rodney.